Earth Day, the annual celebration of our planet, falls on April 22, having been established in 1970 amid massive oil spills, record air pollution and a dismal environmental future. The resulting consciousness of such perils led to the founding of the U.S. Environmental Protection Agency and spurred passage of the Clean Air, Clean Water and Endangered Species acts. In fewer than 50 years, our national ecological outlook has changed significantly. In fact, for young children today, every day may well seem like Earth Day! Children see magic in nature and find wonder in the small miracles that adults have grown to ignore during the hustle and bustle of daily life. Ready Readers has a few reading suggestions to help children further explore the wonders around them. 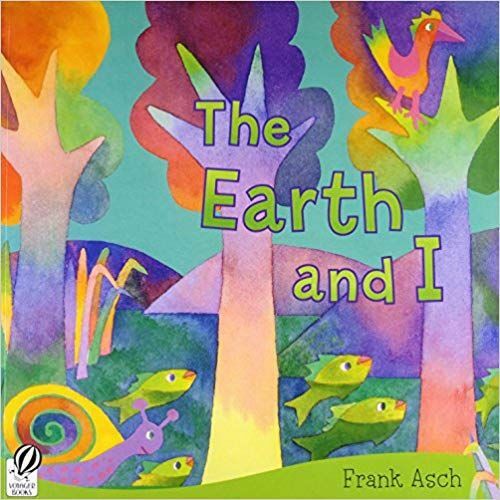 Frank Asch’s The Earth and I makes a gentle introduction to the symbiotic relationship between humans and our surroundings. As both author and illustrator, Asch pairs simple textual ideas with more complex oil pastel pictures. He enables either a calm and peaceful journey through the book or a chance to dive into a deeper discussion of concepts, shapes, colors and tones. Asch’s rainbow-hued world serves as home for a barefoot boy explorer. The boy communicates his connection to this planet in simple, childlike statements: “The Earth and I are friends … I tell her what’s on my mind. She listens to every word. Then I listen to her.” The illustrations show seasons changing, layers of terrain and wildlife, and, above all, the boy’s joy at the discoveries that await him as he plays. On the page reading “When she’s sad, I’m sad,” the illustration depicts trash dumped on a playground. The following pictures wordlessly show the boy loading the trash into a wagon and planting flowers, leading to the final two-page spread of a colorful world in perfect harmony. The statement “When she’s happy, I’m happy” should let children know they have the power to care for and change the world. The month’s second recommendation, What in the World? 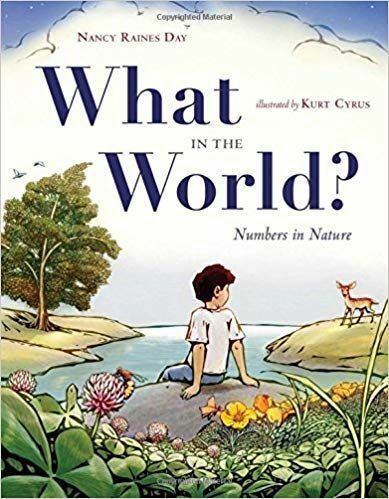 Numbers in Nature, comes from writer Nancy Raines Day, with illustrations by Kurt Cyrus. As with Asch’s book, What in the World? presents an interesting concept in few but well-chosen words, combined with intricate woodcut prints depicting earth, sea and space. Cyrus’ pictures feature muted, dreamlike background tones, permitting the brightly hued objects of focus to pop on the page. The counting aspect provides an opportunity for deeper thinking about specific, beautifully detailed treasures of our surroundings, from insects to humans, flowers to fawns, sea creatures to celestial bodies. In counting objects that appear in groups from one to 10, the reader’s discoveries include one moon, five starfish arms, seven rainbow hues and 10 toes that wiggle and bend. The story ends with a contemplation of the sky, with stars too numerous to count. At Ready Readers, we know that “Kids Who Read Succeed!” Visit our website (readyreaders.org) to learn how you can support our efforts to share the magic of books with our community’s most vulnerable children. We prepare children to be successful lifelong readers by providing new books, early literacy experiences and more.